Ex-CIA boss condemns Senate report Jump to media player The former director of the CIA tells the BBC's Katty Kay a Senate report on the agency's brutal interrogation is "far more like a prosecutorial screed" than a "reasoned" account of events. CIA 'brotherhood' deceitful Jump to media player BBC North America editor Jon Sopel speaks to Dianne Feinstein, who chairs the Senate Intelligence Committee. 180 hours without sleep Jump to media player A Senate report accuses the CIA of employing 'brutal' interrogation tactics in response to the 9/11 attacks. The BBC looks at the key numbers in the report. Obama on 'brutal activity' Jump to media player President Obama says the US was engaged in "brutal activity after 9/11", following the release of a Senate report on CIA enhanced interrogation techniques. A newly-released US Senate report on the CIA interrogation programme has said the brutal methods, including waterboarding, sleep deprivation and rectal feeding did not lead to unique intelligence that foiled plots. The report also concluded the agency misled politicians and public about the interrogation practices. 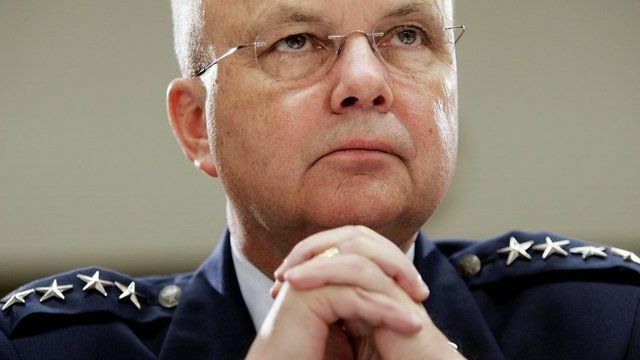 Former CIA director Michael Hayden tells the BBC's Katty Kay his reaction to the report. It "reads far more like a prosecutorial screed than it does some reasoned document as to what went on", Mr Haden said.